It&apos;s been said that marketing is part science, part art. The same can be said for social media, which both challenges and affirms that statement, pushing the definition of marketing, itself, to the brink—and maybe a little bit beyond. Its story is an unending evolution of integrated creative and connectivity in the digital space that explodes the boundaries of what can be shared, targeted, tracked and measured. 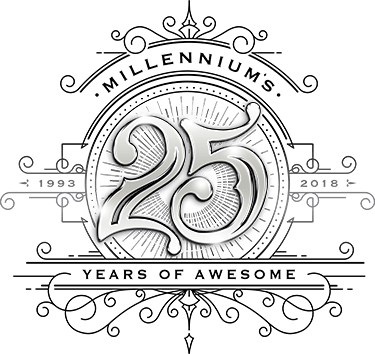 At Millennium, we&apos;re committed to the mastery of the technical side of social media (the science), while improving the human drivers of engagement (the art) so that our work reflects a perfect confluence of both. By relentlessly refining both ends of the medium, the engaging, exciting and emotional connection is supported by insight-driven strategy that feeds the cycle of analytics. Simply put, social media is the Wild West, and we&apos;re the sheriff. Our engagements solve problems, and leverage opportunity. We don&apos;t obsess over the meaningless stuff—our obsession is the type of interaction that strengthens consumer relationships and drives business. Engagement without purpose is prattle. Our partners entrust us with a wide range of marketing and technical responsibilities, both digital and analog, binary and breathing. Our experience makes us better at connecting, leveraging and amplifying the different communications, technologies and consumer touchpoint that comprise their brand universe. Some marketers love the freedom and vitality of social media, some love the structure and uniquely trackable metrics. We operate at this fertile intersection, combining the emotional intimacy of social engagement with measurable business insights and results. Over the last ten years, Millennium has been at the forefront of the social media revolution. From 140 to 240 characters, 15-second to 1-minute videos, Facebook Walls to Timelines, we&apos;ve seen it all and done it all. Successfully, might we add. Back in the early aughts, we jumped in and held our clients&apos; hands when they dipped their first toe into the stream. Today, we aggressively navigate the roaring rapids of the social web to give our clients and their audiences a remarkable, safe and memorable journey. While the rules, opportunities and players change daily, our passion and commitment to foster brand love and business-driving engagement remains constant. Always part of an integrated mix, social has been a lead or support channel for everything from introducing our clients to the world for the first time to celebrating 100 years of serving their consumers. In all cases, we are unwaivering in creating authentic, brand experiences that move needles while nurturing a growing community of like-minded consumers. We start with smart, concrete goals. We stay on top of relevant conversation. We understand the relationship between brands and consumers. We create a home for your tribe. We develop a content strategy that promotes your business by advancing the Tribal Life. We understand and embrace the analytics that impact your tribe. We foster a culture of engagement by embodying your tribe identity. We capitalize on current events and trends. We go back to Step 1 and continually reassess why you&apos;re here in the first place. We learn, iterate and refine at every stage. We start with smart, concrete goals. Without a defined purpose, social media is just so much noise. We stay on top of relevant conversation. We use social “listening” tools and analytics to assess what we need to know about the media landscape, as well as taking the appropriate tone. Social media outreach is like asking to be someone&apos;s guest, and good guests respect the rules of the house. We create a home for your tribe. 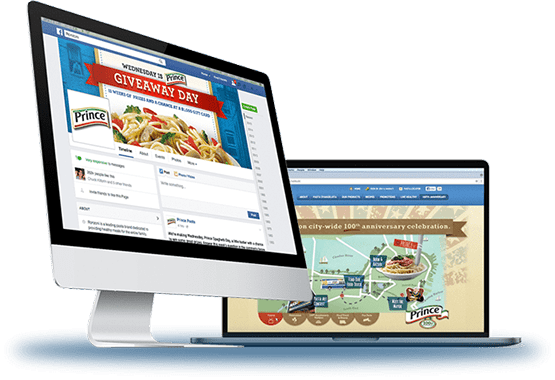 We employ the proper social channels that make the most sense for your brand&apos;s goals while developing parameters that resonate within the themes, mood and voice of your audience. These considerations encourage inclusivity while establishing an authentic bond between you and your audience. We develop a content strategy that promotes your business by advancing the Tribal Life. This content adheres to the tribe guidelines that reinforce the defined persona of your audience. We understand and embrace the analytics that impact your tribe. The immediacy of social media allows for an almost instantaneous assessment of what&apos;s working and what isn&apos;t. The metrics of conversion don&apos;t lie, so we keep doing what&apos;s working, and ditch what doesn&apos;t.
We foster a culture of engagement by embodying your tribe identity, which makes content most inclusive. We ask questions, respond to comments, and generally create a broad dialogue comprised of shared interests. We capitalize on the awesome things currently going on in the world, plugging into current events and trends. We pay attention to the ebb and flow of popular culture with an eye towards leveraging anything that might advance or amplify your brand dialogue in social forums. We go back to Step 1 and continually reassess why you&apos;re here in the first place. Have you discovered a bigger, more practical more impactful opportunity? Are there more effective ways to achieve your goals? Social media gives brands an opportunity to humanize themselves and bring a personal and emotional element to their bond with the consumer. Consumers know when they&apos;re receiving an automated response, and appreciate a customized answer to their inquiry, compliment, or complaint even more because of it. They expect timely and personal responses, no matter the nature of their comment. Millennium monitors its clients&apos; pages frequently over the course of a day, 365 days a year. Comments warranting response are always addressed during the same day. Comments left late at night should be addressed as soon as possible the following day. Our paid media strategy is goal-oriented and insight driven. At Millennium we have a “fail quickly” philosophy. We believe that testing and learning produces the best results and stress to our clients that it&apos;s not just about reaching their audience—it&apos;s about shifting perceptions and changing behaviors. We resist the allure of clickbait content that simply exists to get that like or share, but doesn&apos;t really align with consumer insights. Content of that nature may get the viral attention, but if it&apos;s not tailored around or relevant to your specific audience, then it&apos;s not doing its job. Understanding the different purposes that each social platform fulfills is the driving force behind our content strategy. 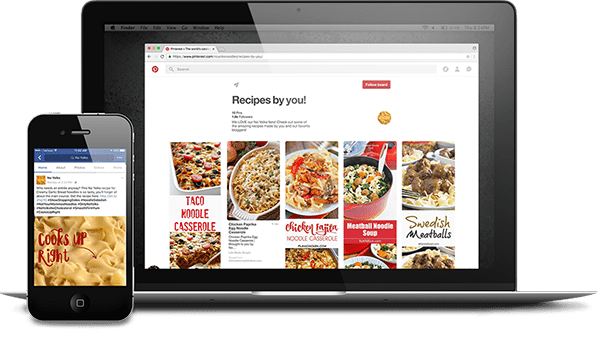 We know that your consumer on Pinterest is not your whole consumer, and thus believe that content should be specifically tailored for each platform, not only in format, but also in objective. We start with your goals in mind and from there develop a content strategy that leverages the unique potential for success on each social channel. Because each social channel serves a different purpose, it&apos;s likely that your fans are following your brand on more than one social channel. They may look to you for inspiration and beautiful imagery on Pinterest and Instagram, while following you on Facebook and Twitter for brand news and product deals. That being said, if your current content strategy consists of syndicating the same piece of content across multiple channels you may want to start thinking about diversification. We know our business. Many of our clients rely upon us for end-to-end social media solutions that optimize their entire marketing presence. But when our clients come to us already engaged with great agency partners we don&apos;t get territorial. 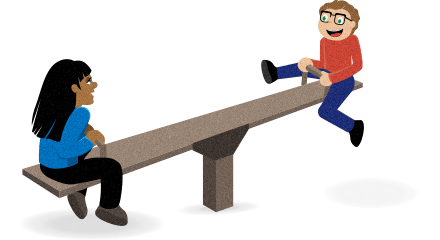 Instead, we leap into the mix to build on one another&apos;s work for awesome experiences and results. Some of our most satisfying work has come from collaborations with agency partners. Whether we&apos;re handling it all, playing a leadership role or as part of a broader team, we know how to deliver what matters—results that move your business forward. Without a defined purpose, social media is just so much noise. We use social “listening” tools and analytics to assess what we need to know about the media landscape, as well as taking the appropriate tone. Social media outreach is like asking to be someone&apos;s guest, and good guests respect the rules of the house. This allows us to capitalize on insights and trends, and craft our engagement in ways that are both effective and on-brand. We employ the proper social channels that make the most sense for your brand&apos;s goals while developing parameters that resonate within the themes, mood and voice of your audience. These considerations encourage inclusivity while establishing an authentic bond between you and your audience. This content adheres to the tribe guidelines that reinforce the defined persona of your audience. The immediacy of social media allows for an almost instantaneous assessment of what&apos;s working and what isn&apos;t. The metrics of conversion don&apos;t lie, so we keep doing what&apos;s working, and ditch what doesn&apos;t.
This makes content most inclusive. We ask questions, respond to comments, and generally create a broad dialogue comprised of shared interests. We pay attention to the ebb and flow of popular culture with an eye towards leveraging anything that might advance or amplify your brand dialogue in social forums. Have you discovered a bigger, more practical more impactful opportunity? Are there more effective ways to achieve your goals?